The development of the engine AL-31F was closely linked with the development and beginning of lot manufacture of the heavy fighter of the 4th generation Su-27. The resolution about the start of development of this airplane was endorced in the year 1971. Already on the 20th of March, a pilot of this airplane, marked as T-10-1 took off. Until the year 1982, 9 test planes had been built, equipped with engines of the previous generation, AL-21F-3. Qualitatively new fighters engine of the new generation was developed by the Moscow plant Saturn. For the airplane Su-27, the engine AL-31F was suggested on the base of an analysis, which has been carried out by CIAM. 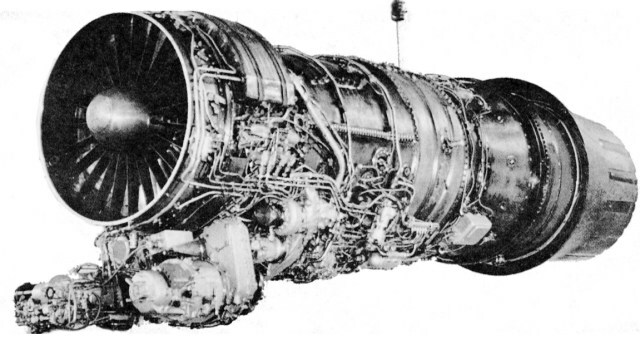 The competitors to this engine were D-30F-9 and R-59F-300. According to the original plan, the state examination of the engine were supposed to end in 1982, lot manufacture was to be ensured by Ufa-based UMPO. The procces of projecting the engine did not go smoothly. At first, it was assumed that to minimalize the risk of technical complications, it will be a traditional scheme by-pass turbojet engine with a mixed afterburner chamber, which was already tested on engines D-30F-6. This concept also counted on a compressor of a low pressure ratio and a two-stage high-pressure turbine and two-stage low-pressure turbine. Therefore in the year 1974, the first long and heavy AL-31F came into being. Stend tests showed that such a concept cannot fulfill standards imposed on it. Subsequently A.M.Lyulka together with P.O. Suchý made a dangerous decision about the start of a new perspective engine with single-stage turbines and compressors with a high-pressure ratio. As shown by the mathematic simulation, not even the concept of the actual airplane T-10 would reach such great qualitities as displayed by the american airplane F-15. It was then decided to carry out a radical redesigning. Already in the years 1975-1976, first ideas to perfect the construction of Su-27 were weld and in the year 1979 in Suchy’s office, projecting the practically new airplane T-10S was fully set going. Lowering the drag of the airplane demanded engine’s gearbox transposition on the top of the engine. The new engine subversion presumably got a new work label "V" (verchnij). The decision about redesigning the airplane and engine was even more risky because the american equivalents F-15 and F-16 were already operationally used when developing MiG-29 and Su-27. Practical experience in developing the revolutionary engine had not been until then. When designing, it was necessary to address a number of serious technical problems related to the aerodynamic properties of the compressor, combustion chamber characteristics and reliability and features of the gearbox . The high pressure turbine was not operational until 1984. With many new untested technical solutions, the engine had no chance to pass the finishing tests, which are kind of a rehearsal for the state tests. The main problem lied in imperfection of the turbine blades and in September 1984, the main designer of Saturn, BM Čepkin decides that this part of the engine will be completely revised. All these problems resulted in delayed development of the engine compared to the airplane. Therefore, the first T-10 flew even with the old engines AL-21F-3. All work on the engine was conducted in a fast pace. The creation of detailed technical documentation was started as late as when the negotiations with the Ufa-based UMPO on production of engines started. After removal of defects blades, the test were successful, and finally on the 6th August 1985 an agreement was signed to allow access to state tests. During all tests the Ufa-based UMPO played a key role, for example during the formation of complex blades. After completing the state tests, all the technical documentation was forwarded to the Ufa-based UMPO, which began with small-lot production. At this time, Saturn began to focus on increasing service life of the engine, which was only 100 hours at the beginning, but the Air Force requirement was at least 300 hours. At the present, the life of AL-31F is 1000 hours. Another important area of work of design office Saturn was the development of thrust vector control technology, which was later applied to AL-31FP engines. The third area of interest in the 90s under the order of the China Airforce was a modified version of the engine on the AL-31FN, which had a gearbox located on the bottom side. Both engine variants are described below. The airplane Su-27 was supposed to be produced in large batches, more than 100 airplanes a year, the Ufa-based UMPO however was unable to ensure the adequate supply of powerplants. It was therefore decided to engage AL-31F the Moscow plant Salut. 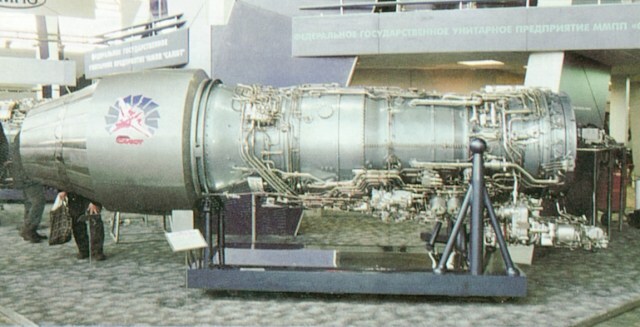 In the first stage Salut produced only some elements of the engine, then the work was divided between the two plants so that the Ufa-based UMPO had the responsibility of cold parts of the engine and Salut’s were hot parts, while the Ufa-based UMPO maintained a position of head of production in the project AL-31F. Production in Salut started in May 1984. Basic engine version, also known as Item 99 (Product 99). This is a twin-shaft turbojet engine with a modular construction, with flow mixer before afterburner. Thanks to the modular design, it can be relatively easy to replace nozzle, afterburner chamber, mixer, reductor and other nodes; remove blades of low pressure compressor and all stages of high pressure compressor. Fan (low pressure compressor) is four-staged with variable inlet vane, high pressure compressor is nine-staged with variable inlet vane and the first two stator stags. Controllable elements of the compressors are controlled by a system of prevention and liquidation of the compressor stall. 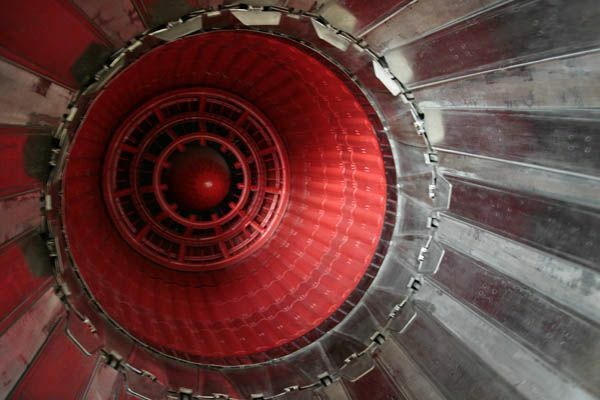 The combustion chamber is annular. Both turbines are single-stage. The engine is characterized by stable operation during dynamic maneuvers, including a flat spin and tail fall. 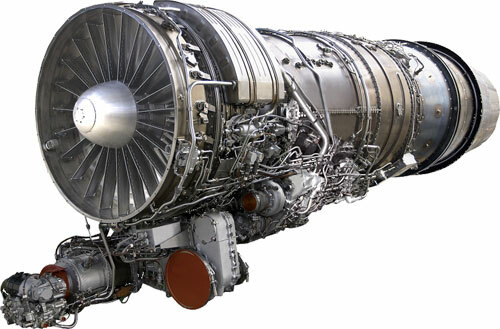 The engine is used on airplanes Su-27, Su-27UB, Su-27IB (Su-34) and Su-33. Experimental Su-27 with these engines set 32 world speed and altitude records. Series production began in the mid 80s. In 1989 production of AL-31F series III began, many new technological processes have been brought in the manufacturing process. 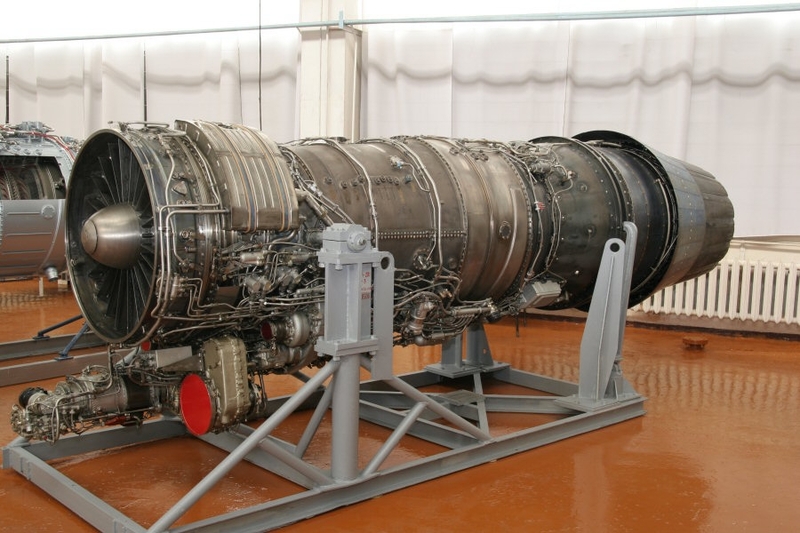 An engine especially intended to modernize indian airplanes MiG-27ML. 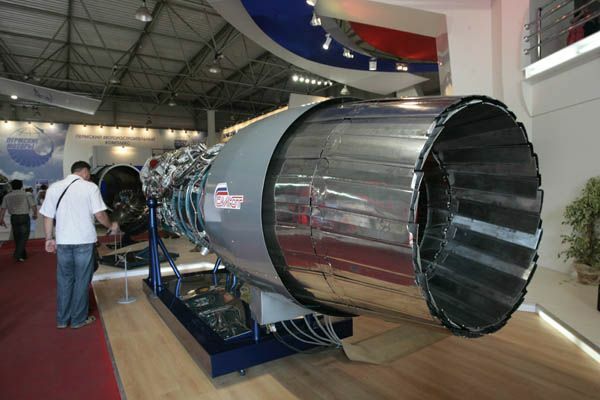 The engine was installed in December 2005 to the MiG-27 and presented to the Indian delegation. They agreed to continue development and flight tests on MiG-27 were already being planned for 2006. This, however, failed, and it passed ground tests in 2007, flight tests are planned after in the flying laboratory of Su-27 in M. M. Gromov Institute. Compared to older R-29, the AL-31F series 30S enginered for the MiG-27 airplane will mean an increase in combat efficiency by 22-27%, shortened length of take-off by 15%, increase in climb rate by 14%, acceleration by 8%, extending the persistence by 20 -25%, reduction in the minimum speed from 400 to 200 km/h (at altitudes from 0 to 8 km) and an increase in maximum speed from 1,350 to 1,480 km/h at the same altitudes. The maximum ceiling should be up to 20 km and maximum speed at high altitude up to M = 2. If India adopts the engine, at first the time between overhault will be 500 hours and operating life will be 1500 hours; subsequent increase to 1000 or let us say 2000 hours. In the distant future, it is being intended to have an overall life up to 4000 hours. Alternative names of the engines are "99-3", "Item 99 series 30S" or "99-30S. Development of the engine is in the hands of the plant Salut. On the basis of a resolution made by the Government of the Russian Federation from 30.1.1992, nine test AL-31FN should have been built in Saturn. Signing the pact of military-technical cooperation of Russia with other country at the time, just after the breakup of the Soviet Union, was rather unique event. Work on the engine were fully financed by a foreign submitter, it was the first time ever that Russian design office worked on a foreign contract. In addition, it was also the first case where all the documentation submitted went directly to the office Saturn, but not through the state. As a part of the contract, Saturn committed to the creation of engines, installing them into airplanest and ensuring all tests. Work on the AL-31FN was in progress in the years 1992-1994. To place it in a new aiplane, it was neccessary to move the gearbox from the top of the bottom, then N (Nižná) in the labelling of the engine. Although the contract was to build nine engines, during the development, a total of 14 engines were built that have undergone the control of all Air Force RF ground tests. Then the engines transmitted to the Chinese side to implement the flight tests, during which a total of 1,500 flights were made, the engine has met the requirements imposed on it. After the issue of approval for the manufacture of the engine arose a question of which plant will produce the engines. During the 90s, there has been an informal agreement to split the work on the main engines of foreign manufacturer Saturn so that the engine for China was to be produced by plant Salut, units for India were produced by Ufa-based UMPO. It was just like that in the case of AL-31FN, the production was ensured by the Moscow firm Saljut. Even in the year 1998, a licence agreement existed between Saturn and Salut, which stated that the manufacturer of the serial engine had to pay the developers a profit of 8%, approximately 300 000 USD for each engine sold. The technical documentation has been forwarded to Salut by Saturn for 1 million USD. However, it was incomplete and Salut had to complete it up to the level where it was possible to base serial production upon it. After carrying out its own technology tests and confirmation of technical possibilities of producing AL-31FN, a plant with serial production started in Salut, which, however, due to the conflict of both companies has not been implemented with the support of the engine‘s developers, the company Saturn. In 1999, the Ministry of justice established an agency to protect outcomes of intellectual activities FARPID. This has led to further problems between Saturn and Salut, with Saljut to broadly say it refusing to recognize a significant share of Saturn in the development, to which of course Saturn responded. Salut finally in the new licensing arrangements confirmed the commitment to pay 8% of each engine to Saturn, in the train to however, this decision was annulled. A total of two contracts have been signed about the construction of AL-31FN for China. Withing the first one, Salut had sent 54 engines and within the second contract, 100 engines had been provided.Saturn’s claim over Salut made about 15 million USD on the first contract and over 25 million USD on the second. 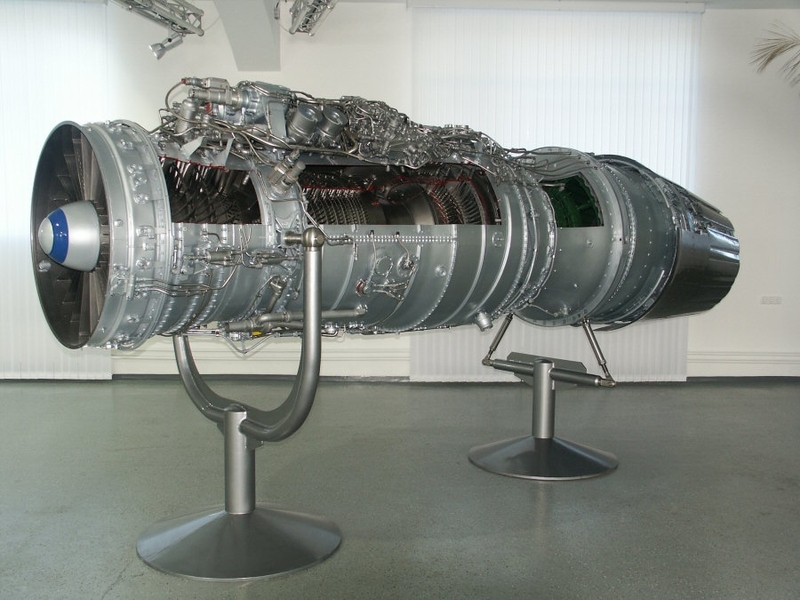 More work was being done on the AL-31FN engine and at the beginning of December 2005, an engine variant was presented to journalists with increased thrust to 13,500 kp and with a controlled thrust vector. The work was financed from the resources of Salut company. Legal relationship of such activity due to the office of Saturn is unclear. Immediately after the completion of the basic version of AL-31F, the designing of an engine modification with a controlled thrust vector began. The developement of the first experimental engine with an adjustable nozzle was led by general designer V.M. Čepkin, and was already finished in 1988, and passed tests on the airplane T-10-26 in 1989. In 1995, an experimental airplane Su-35 nr. 711 obtained a similar engine. The first flight of Su-35 with the new engine had been performed on 2nd April 1996. During the work on the engine with an axially symmetric vectoring nozzle , two basic issues were dealt with - the creation of the transition between fixed and variable parts of the nozzle where the temperature reaches 2000 ° C and pressures from 5 to 7 atmospheres, and a reliable system of nozzle control. Deflection up to 15 ° in all directions was controlled by the airplane’s system. The emphasis was also place on its long life, which now reaches 500 hours of operation. Engine was going through gradual development even during test flights of the Su-35. 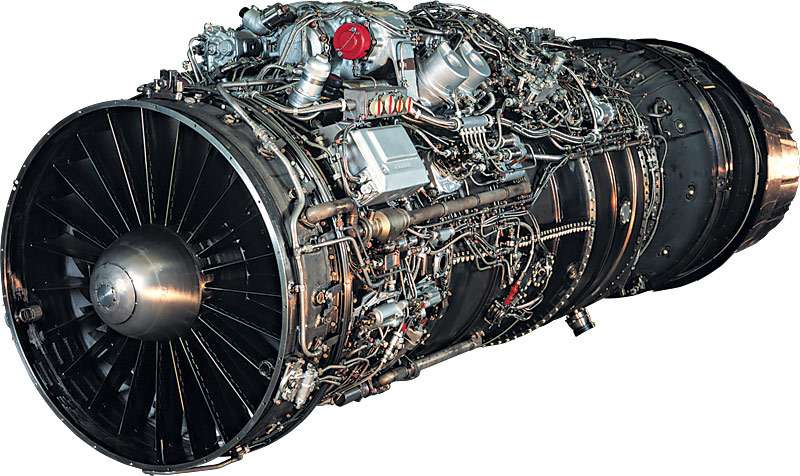 The experience gained then helped when constructing serial AL-31FP engine for airplanes generation 4+ Su-30MKI/MKM/MKA. Now the new engine, radar and avionics are items that increase the competitiveness of the airplane on the world market. Vectored engines allow airplanes to carry out unprecedented maneuvers. The construction documentation for the serial production of AL-31FP was handed to the Ufa-based UMPO, which fulfilled in 2000 and 2001 the obligations that arose from the contract with India in 1996 to supply 40 pieces of Su-30MKI. In 2000, a supplementary contract was signed about licensed production of 140 Su-30MKI in the factories of HAL in India. The contract was worth 3.3 billion USD. Saturn gave the Indian side the technical documentation for the engines,UMPO gave the plant in the city of Karaput all the necessary technical equipment to build engines. In fulfillment of the contract, the Indian Air Force was supposed to get at least 64 AL-31FP engines for its 32 Su-30MKI. Including spare engines, this amount should have been about 30-50% higher. 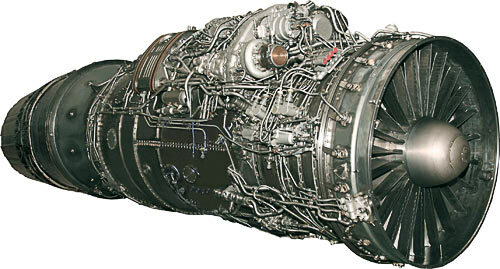 Until march 2006, there were 16 AL-31FP engines in India. Current (April 2006) Russia's commitment is to manufacture 132 Su-30MKI in India (264 engines), build of 18 Su-30MKM in Malaysia (at least 36 engines) and 28 Su-30MKA in Algeria (56 engines). Therefore, other 356 AL-31FP engines should be made. 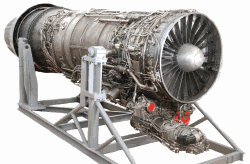 Vectored engine nozzle extends to a total length of 4990 mm, thrust is maintained on the value of 12,500 kp. Development of AL-31FP is closely linked to the engine, which is sometimes referred to by journalists as AL-37FU. Information on this engine are very confused, labeling AL-37FU occurs only in a few sources. I assume there are three ways with this engine. 1) AL-37FU could be an offshoot of the early stages of AL-31FP with an enlarged fan and increased thrust. Development could be in the hands of other companies and engine design after testing has not been further developed. 2) AL-37FU could be a prototype of AL-31FP, morso a technology demonstrator of thrust vector control. The experience gained in its development were then applied in the development of serial AL-31FP. I’m trying to get more information. 3) AL-37FU could be the level between the AL-41F and Item 117. The modernization of engines AL-31F to version AL-31FM1 (AL-31F series 42, serial No Item 99M1) began in about 2001 or 2002. Thrust increased from 12,500 to 13,500 kp. Time between overhault was increased to 750 hours with the expected increase to 1000 hours. The engine got a new low-pressure compressor KND-924-4 with the inlet diameter of 924 mm, compression 3,68 and airflow 119 kg/s. Blades number of the first stage is unchanges – 37. The control system has been changed to the type of KRD-99C. The engine is equipped with all-regime supersonic vectored nozzle with life of 800 hours (of September 2007). Weight increased slightly to 1557 kg. Modernization of the engine version AL-31FM1 is firstly in the hands of the Moscow Salut. Motor AL-31FM1 underwent flight tests in the M. M. Gromov Institute on planes Su-27 nr. 595 and 598. State tests should be completed by July 2006, then required contracts should be signed and serial production can be started. 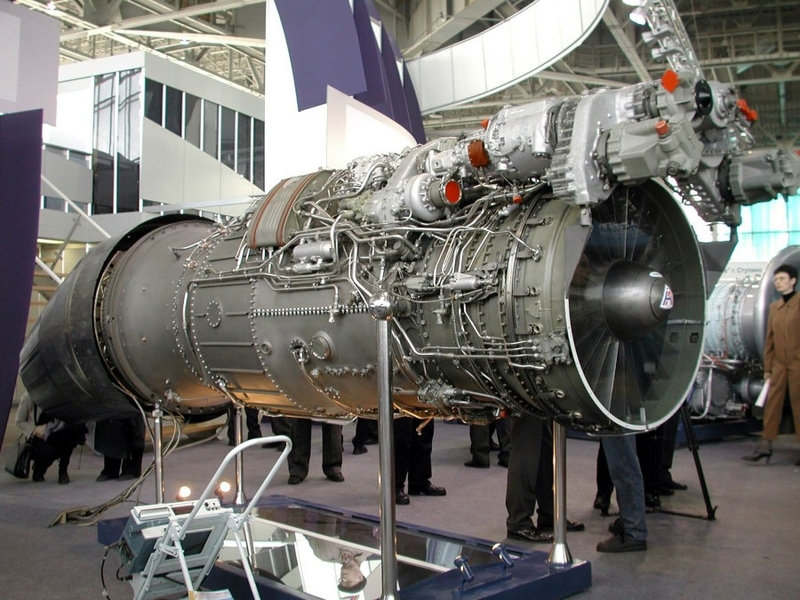 In December 2006, it was decided that the engines AL-31FM1 will be admitted to the arms of Russia to fill the gap between the current engines, the fourth and fifth generation of future engines. Serial production began in March 2007. Engines were presented at the public exhibition MAKS 2007. 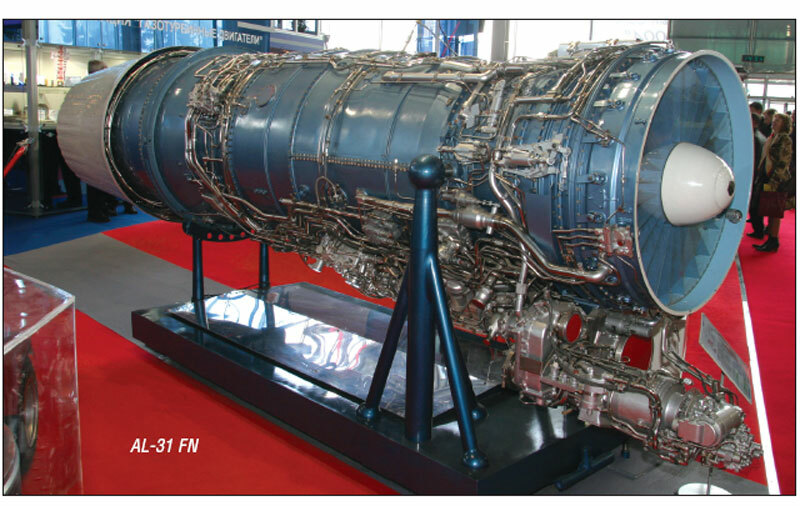 China expresseed interest in the engines AL-31FM1 and to the modernization of its Su-27 and Su-30. As part of efforts of Salut to develop an engine close to fifth generation, further modifications are prepared, AL-31FM2 and 31FM3. The AL-31FM2 (Item 99M2, or AL-31FSM (M1S)) has a low-pressure compressor KND-924-4, but with some adjustments in aerodynamics over the previous engine, so that pressure ratio increased to 4.0. Also, low pressure turbine has a new 3D aerodynamics, its input can operate at temperatures 1467-1507 ° C. Further cooling system was modernized and the control system optimized. In the summer of 2007 the engine underwent a series of ground tests. The M2 engine has had further increasments of thrust and life time. Thrust is demonstrably 14,200 kp (information from January 2007), with an increase to 14,500 kp or even slightly more likely. Time between overhault rose to 1000 or more hours. M3 version will have the thrust by 20% higher than the AL-31F, ie over 15,000 kp (one source states 14,500 kp for AL-31FM3-1 and 15,200 kp for the AL-31FM3). The AL-31FM3 will instead of 4-stage low-pressure compressor stage, only 3-stage blisk KND-924-3, that was already available the end of 2006 . Increasing pressure on low-pressure compressor rose from 3.54 for F version to 4.25 for FM3 version. Another change is in the hot engine parts, which now use more heat-resistant materials and modernized cooling system, the temperature before the turbine increase to 1507-1577 ° C. Engine version FM3 is from the whole AL-31 sereis closest to the fifth-generation engines standard. 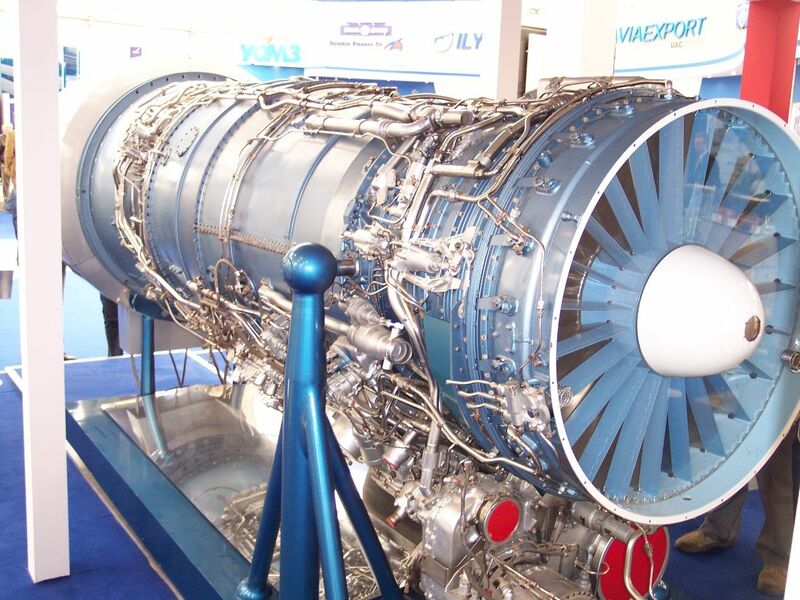 Engines AL-31FM is to be used on Su-27 airplanes and its modifications (Su-27SM, Su-33, Su-34). Salyut assumed that the variant M2 and M3 could participate in selection procedures for aircraft propulsion PAK FA project. So far, the PAK FA aircraft engine selected Izdelije 117S. An advanced derivate Item 117 (AL-41F1A) was developed based on the engine AL-31F. * transition regimes allow turbine outlet temperature higher by 15° for no longer than 5 seconds. H-M characteristics of AL-31F on maximal and full afterburner regime. Text origined based on the materials on the official website of Salut, Saturn, UMPO, also based on the manual to engine AL-31F and was completed by press releases. Sources of some images:www.sukhoi.ru. Changes of names of constructing teams and manufacturing plants due to historical change are not taken into account. My name is Aly. Would you have any interest to have your website here at leteckemotory.cz promoted as a resource on our blog alychidesign.com ? Almost everyone is using voice search with their Siri/Google/Alexa to ask for services and products in 2018, and in 2019, it'll be EVERYONE of your clients. Imagine what you are missing out on. Right now, I can only find leteckemotory.cz on text search after digging a few pages (that's NOT good), businesses above are earning all the traffic and business!